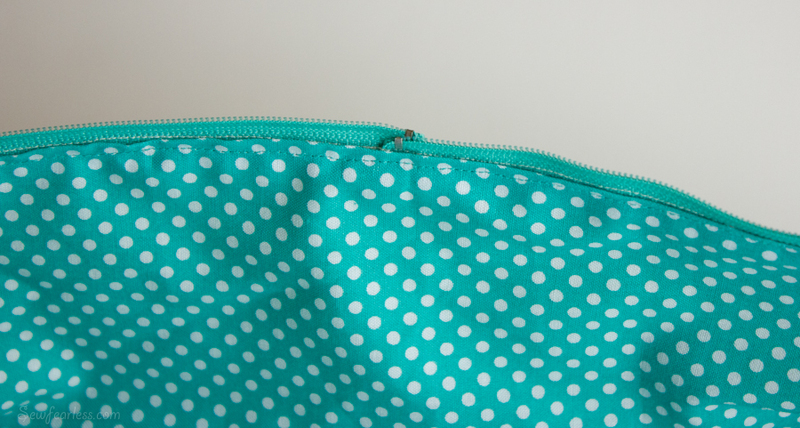 Over the last few weeks, I have been working my way through the Sidekick Mini Suitcase pattern, sharing any extra tips that didn’t make it into the pattern directions, and answering questions. 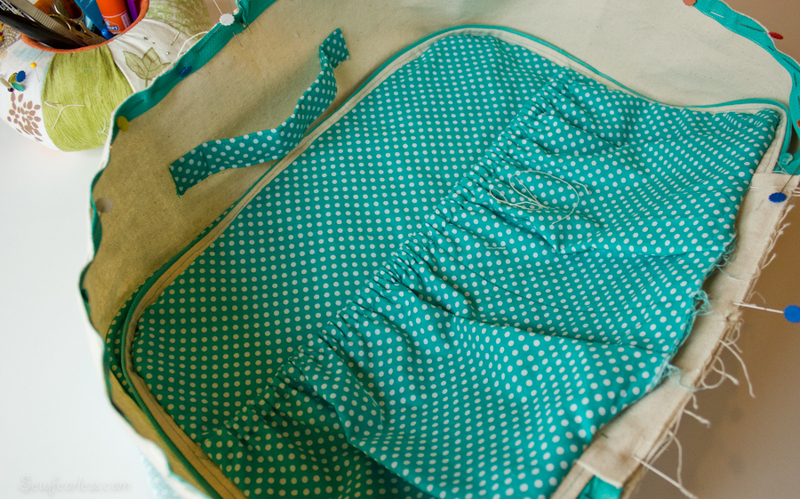 The printable pattern and complete directions for the suitcase are available for purchase here. 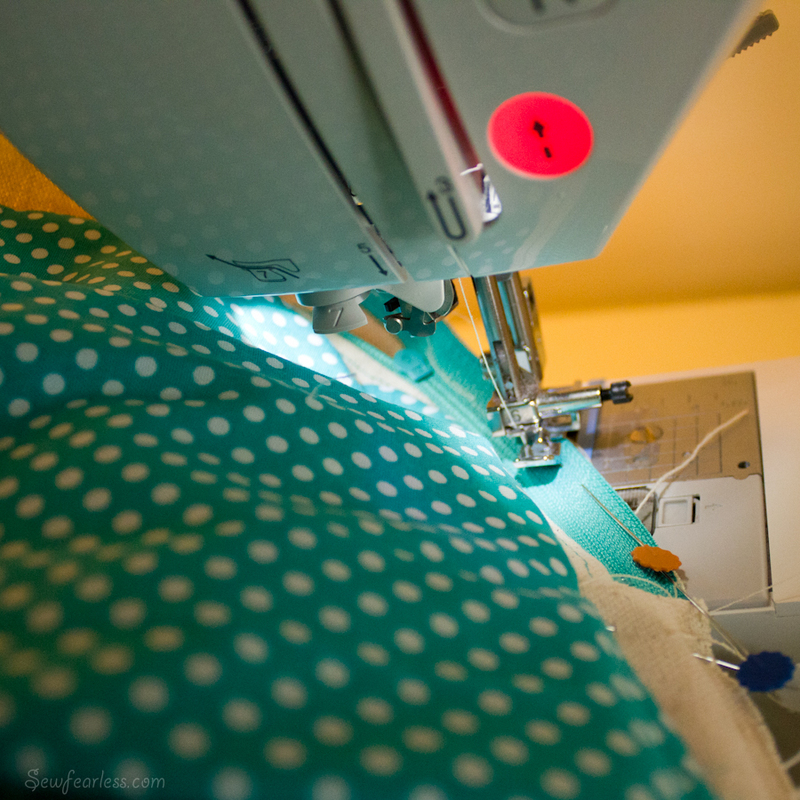 THIS IS THE PENULTIMATE SEW-ALONG DAY! 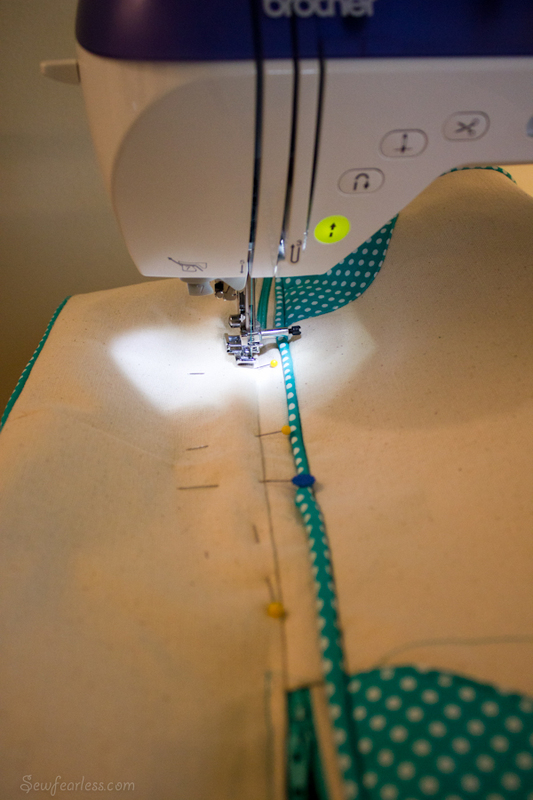 First off, I wanted to address one problem that Meg shared with sewing her suitcase – needle breakage. We are sewing luggage and it really is asking a lot of your sewing machine. 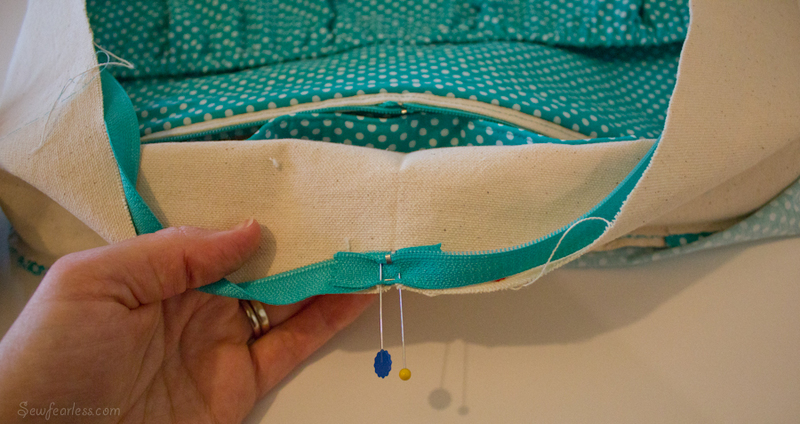 If you repeatedly break needles while trying to sew this, there are a couple of things to try. Needle size: Are you using the right size needle? We are working multiple layers of heavy fabric and interfacings. I am using a size 100/16 needle for these last few steps. 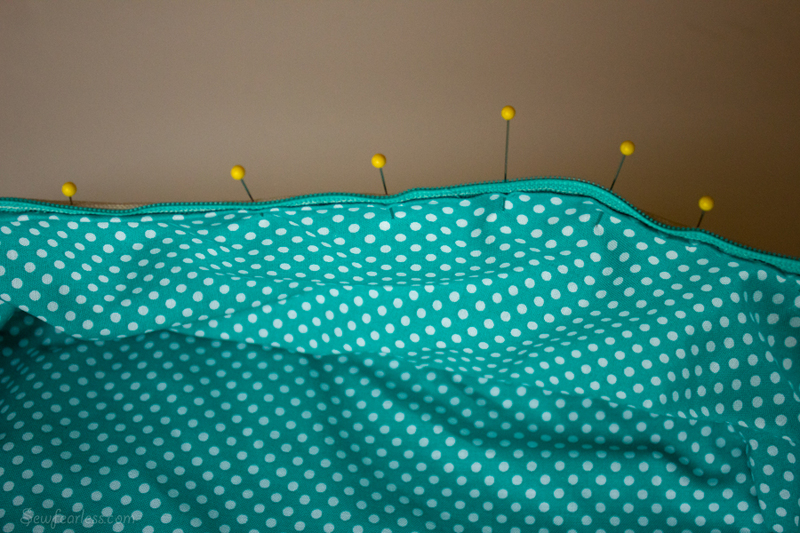 Don’t push/pull on your fabric while sewing, gently guide it through. Let the Feed dogs do the work for you. 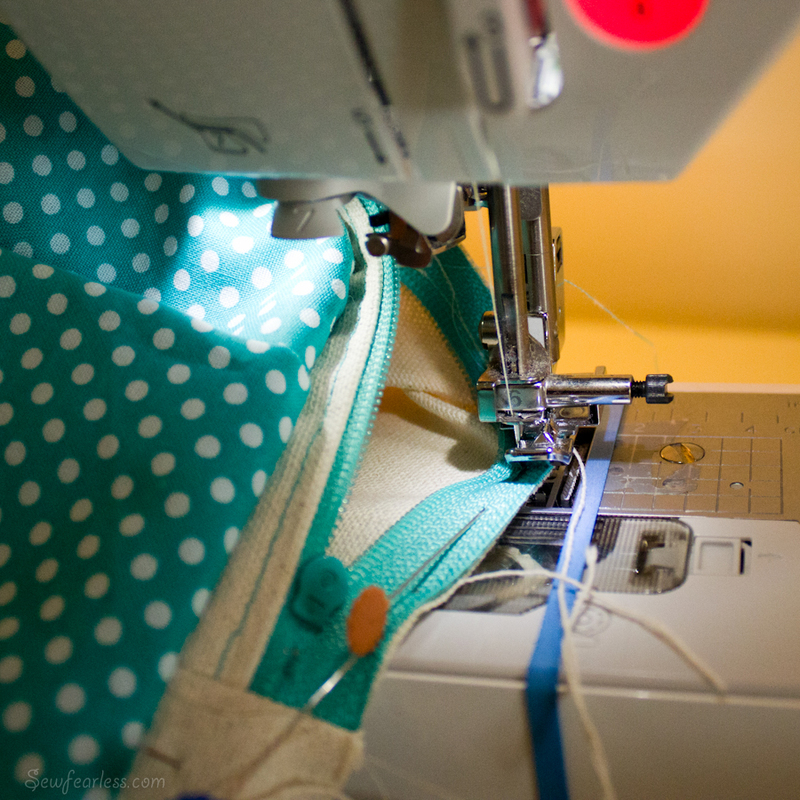 Pulling on the fabric while the needle is down will cause the needle to bend or break. If your sewing machine is having trouble feeding that thickness of fabric through, changing the foot pressure could help. 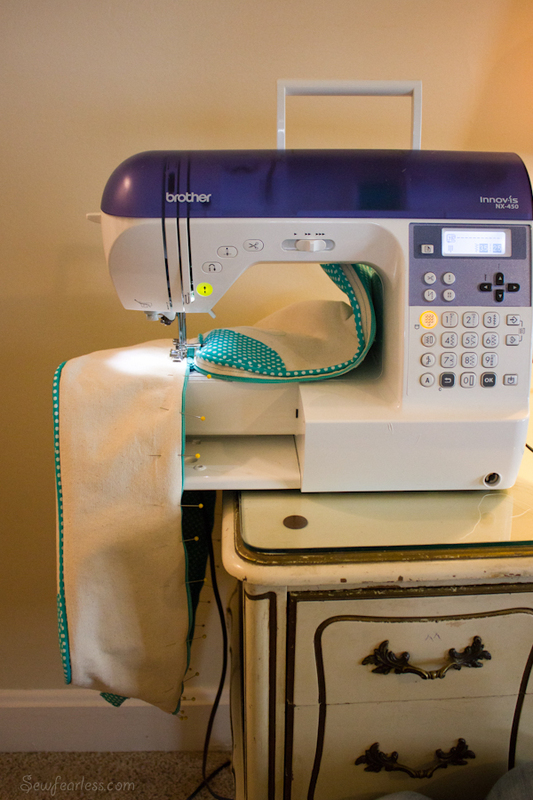 Check to see if your machine has an adjustable foot pressure dial. Hopefully, those few things help out. If not, feel free to ask more specific questions. 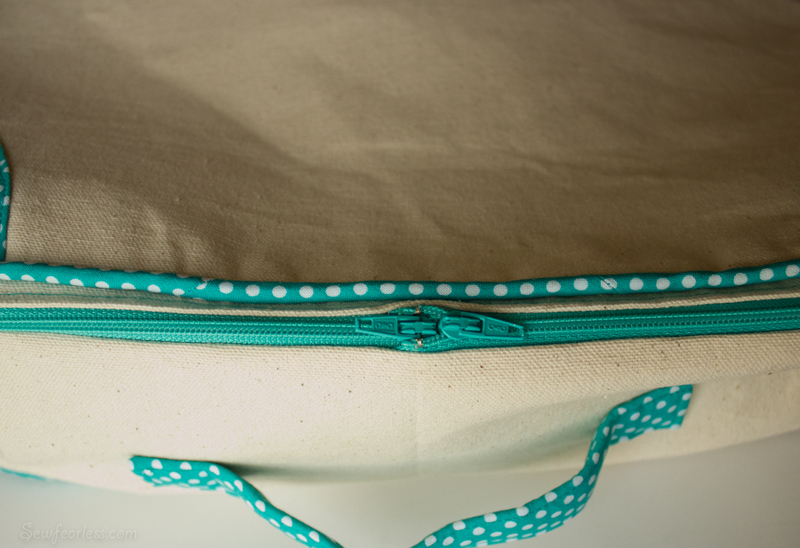 Let’s sew our suitcase halves together! Start off by pinning the halves together along their unfinished edges – the lower half turned inside out, and the outsides of the two halves facing each other. 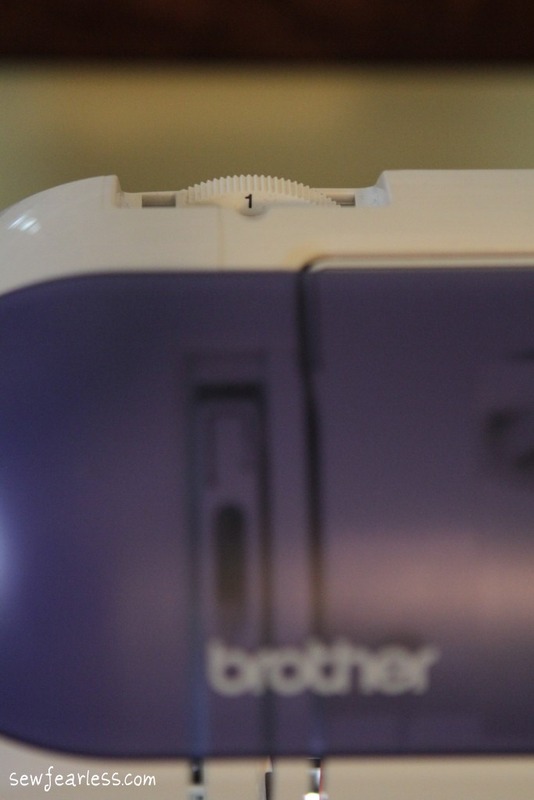 … and the zipper stops line up with the Lower side’s center notch near the suitcase handle. 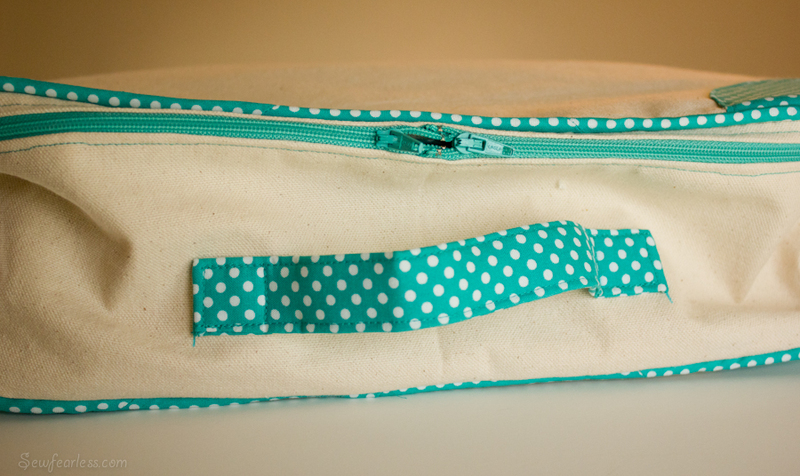 Tuck the ends of the zipper tapes into the seam allowances. 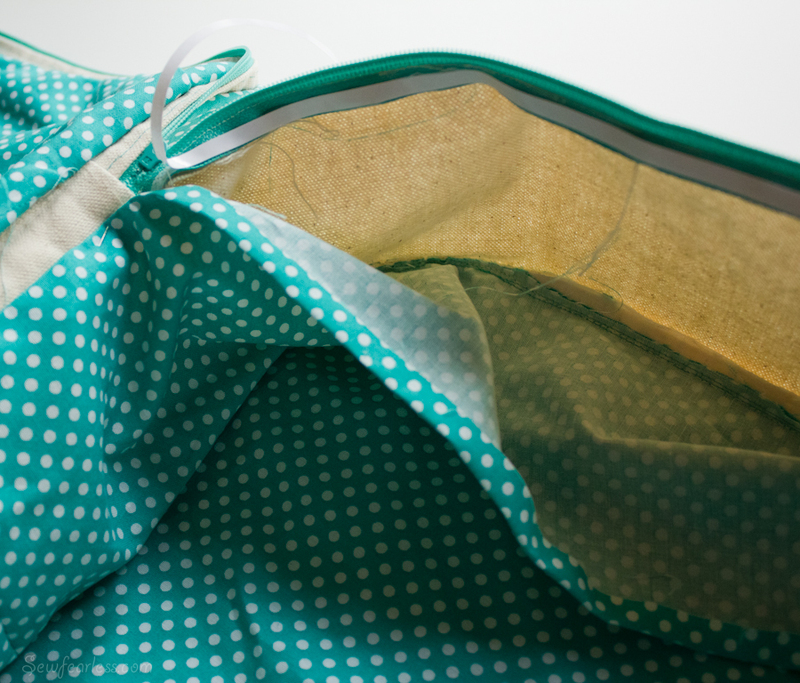 Then sew ’em together with a zipper foot (seam allowance 3/8″). … and slide the zipper head behind. Then, keep sewing. Press (on a synthetic setting, don’t melt your zipper!) 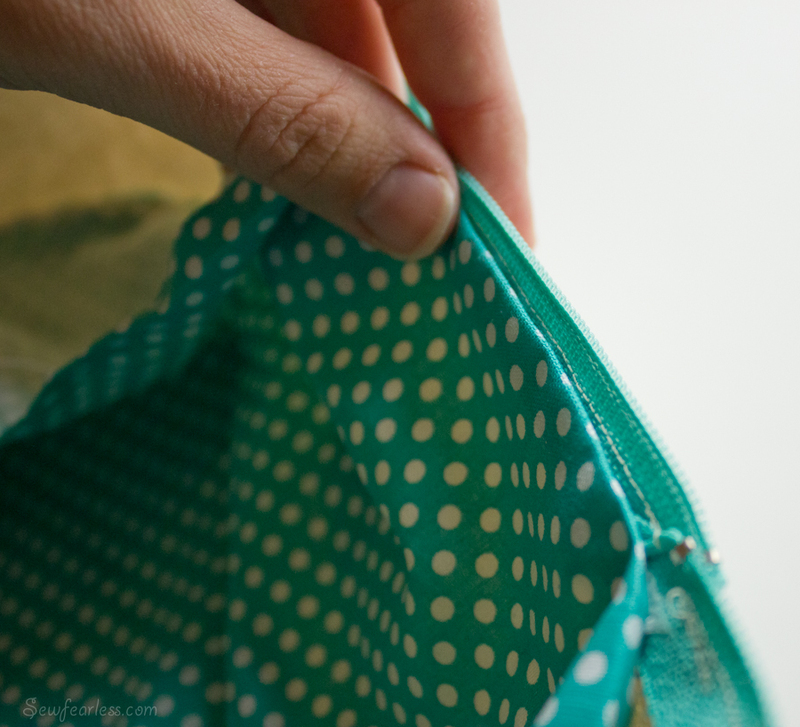 the seam allowance away from the zipper. Your two halves have become one suitcase! 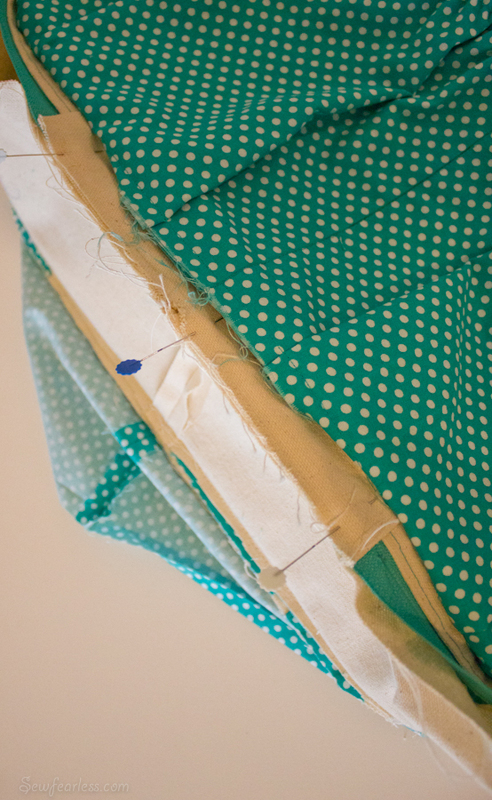 Bring up the folded edge of the Lining Side to meet the seam. Continue all the way around the edge of the lining side. Matching notches (Aren’t you glad you made those notches?) and pinning and taping in place. Notice, I pinned from the outside. 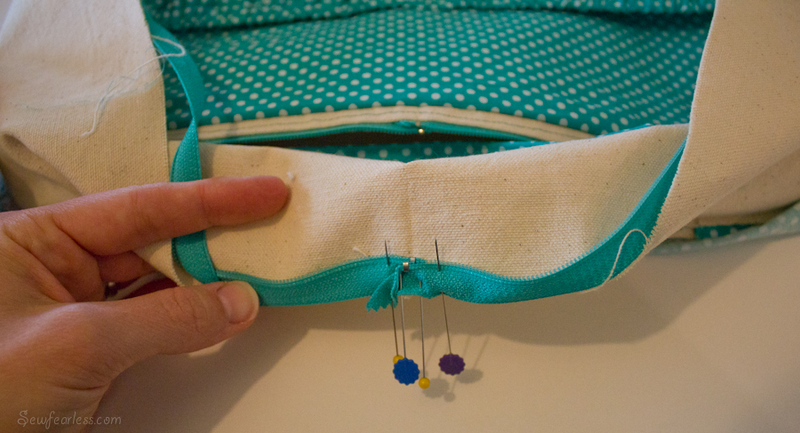 Then, sew lining in place by topstitching from the outside. I wrangled the suitcase by hanging the bed of my sewing machine off the edge of my desk. Take it slow. You can do this. Did you catch the folded edge? Nice! Hand basting can be used in lieu of pins and Wonder Tape. Topstitch the seam without the lining, and slip stitch the folded edge in place after inserting the side stabilizer (next week’s step). This suitcase is looking suspiciously limp. No worries. We will fix that next Monday. Thanks, Jodi! 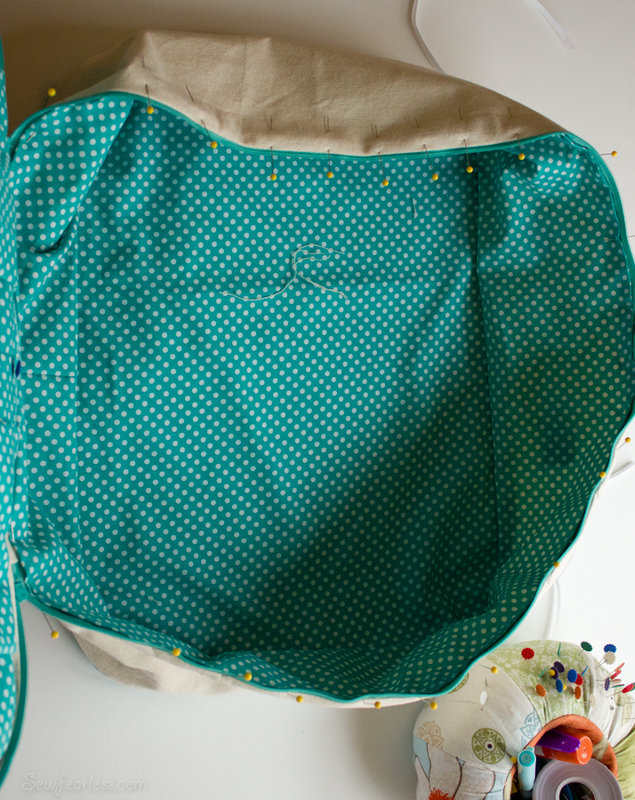 Great tip about moving the sewing machine to the edge of the work surface…. 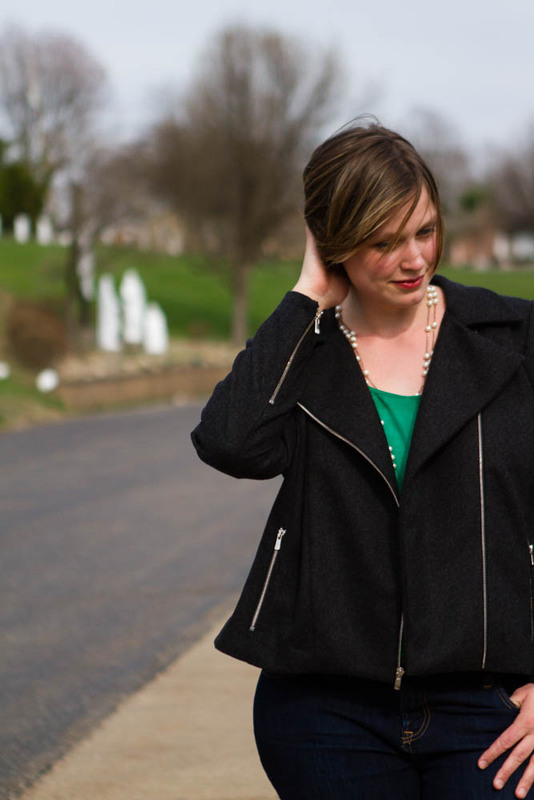 so simple, but I never would have thought to do that… maybe says more about me than you? ha. Jodi I still haven’t tried your pattern since I got it. It’s on my BOM (Bag making list). I love the look of it, thanks for the sew along. I’m glad to see someone else only likes to sew the same thing once maybe twice. I’m the same way I keep trying to come up with more of a challenge and make something new. I must agree with you Jodi, I too am not fond of making multiple same items. I’m afraid that this suitcase will be the only one I make. My intentions was to “try” one first out of scrap material before making one for my grandson and granddaughter. I don’t know if that will happen. 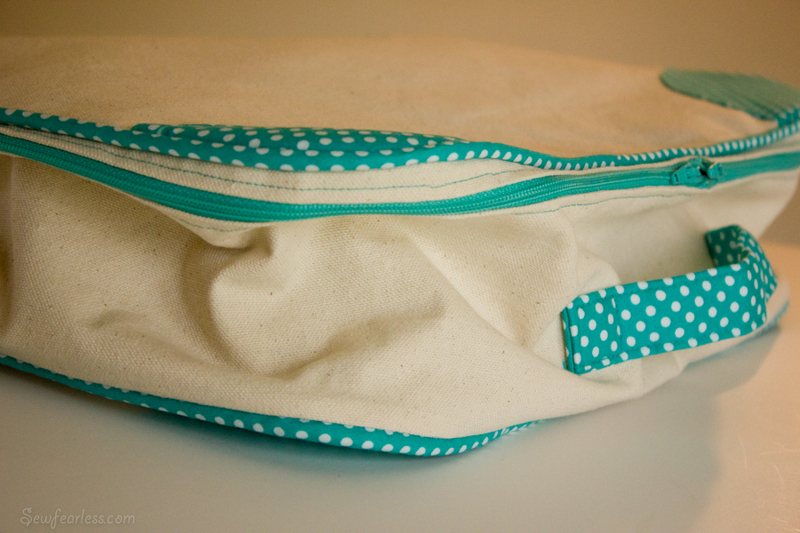 I do however absolutely love the sew-along. Never participated in one before…I look forward to reading the post and learning from you and others….great fun! I feel the same way (about making the same pattern more than once). But I have princess dress and pajama patterns that I have used over and over; and at least I can say that I improve upon repeating! The suitcase looks great!